A growing town in the northwestern section of Malta, the lively tourist destination of Mellieha sits perched between two picturesque bays. Bring the kids along to Popeye Village Malta and Palazzo Falson Historic House Museum. 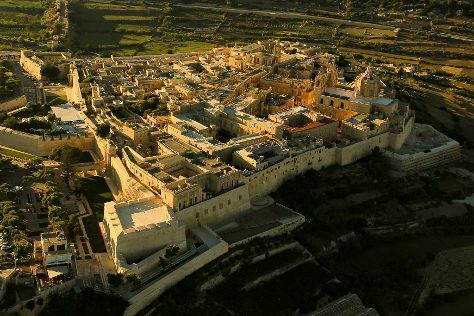 Explore hidden gems such as The Sanctuary of Our Lady of Mellieha and Is-Simar Nature Reserve. Step out of Mellieha to go to Valletta and see Food Tours, which is approximately 46 minutes away. Spend the 15th (Wed) exploring nature at Il-Majjistral Nature and History Park. Next up on the itinerary: kick back and relax at Mellieha Beach, tour the pleasant surroundings at Armier Bay Beach, look for all kinds of wild species at Mediterraneo Marine Park, and contemplate the long history of Mellieha Air Raid Shelter. For other places to visit, ratings, maps, and other tourist information, use the Mellieha vacation trip planner. Newcastle upon Tyne, UK to Mellieha is an approximately 7-hour flight. You can also do a combination of car and ferry; or take a bus. You'll lose 1 hour traveling from Newcastle upon Tyne to Mellieha due to the time zone difference. Plan for somewhat warmer temperatures traveling from Newcastle upon Tyne in March, with highs in Mellieha at 19°C and lows at 12°C. You will have some time to spend on the 18th (Sat) before leaving for home.